I was 15 when I decided to buy my first DSLR. I used all the "car money" I had been saving since I was little to buy a Nikon D70s. That meant I drove a hand-me-down 1975 Ford Granada with no heat or air conditioning, but I never regretted my decision. Back then, the D70s was really one of the only consumer-grade DSLRs Nikon offered. Now its a whole different story. There are so many different brands with so many different types of cameras available now that it can be a little daunting to figure out which one is right for you. Last year I upgraded from that D70s to the Nikon D5100 and am still really happy with my choice. I considered a few other cameras at the time too, but ultimately the D5100 won out and I've learned a few things about how to figure out which one is right for you. Most DSLRs these days, even the cheaper ones, still can produce great images. Unless you're looking to set up a real professional photography business, then you have a ton of choices to pick through. Think about how, where, and when you'll mostly be using your camera. Are you mostly taking outfit photos? Family photos? Do you plan to travel with it a lot? Make a list of what you'll mostly be using it for and think of any features you'd use on a regular basis (self timer settings, low light abilities, etc.). 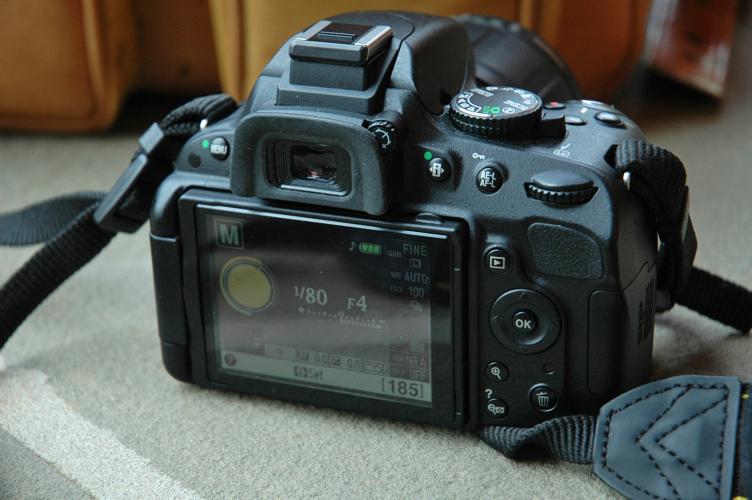 One of the big things that made me pick the D5100 was that it's lightweight and has a closable LCD screen. I always take it when I travel, and even just on little day trips, so the fact that I can throw it in my bag and not worry about the screen getting scratched or the camera being unbearably heavy, is awesome. Some people think of the closable screen as a gimmick-y feature, and I suppose it kind of is, but it's been so useful for me. It doesn't do multiple shots for self-timer, which is one downside, but I always use a remote anyway so it's not a big deal for me. *update - I was wrong! The D5100 does have multiple shot self-timer. Because there's so many great brands and models out there, go ahead and play with a few and see how you like their feel! If you're looking at all consumer grade DSLRs. most of them take the same type of memory card, so if you already have one then bring it with you to the store and stick it in each camera you try out. When you get home you can look at them on your computer and see if there's any differences that you do, or don't, like in the image quality. Make sure you play with plenty of the features too, and even think about how it feels in your hand. If you're getting a DSLR, the time to start thinking about lenses is the same time you're thinking about which camera to get. A good lens can make all the difference in your photos, so it's worth it to figure out which ones you want, and if you need to save for them. When I bought my first camera I got the kit which included a Nikon 18-70mm f/3.5 lens. It's a great basic lens, although it seems they don't sell it brand new anymore. I've played with the "basic" one they sell in the kits now (I think it's the 18-55?) and I don't like it nearly as much as mine, so I don't usually recommend the kits for the Nikons anymore. I also bought a Nikon 70-300mm lens when I got my first camera. I used to shoot a lot of photos for bands, and sometimes needed to shoot from farther away so it was great for that, but I found I didn't use it as much in recent years and sold it after I got my new camera. My favorite lens, I bought last year, is a Nikon 50mm f/1.4. All the outfit photos on my blog since I got it have been taken with it. It's just a great portrait lens that gives a beautiful depth of field. It is more expensive then other ones, but I think it's completely worth it! Of course, other brands besides Nikon and Canon make good cameras these days, thought it seems to be that most people are still in one camp or the other, but if you're looking at another brand just a quick google search is all you need to find out about good lenses for what you're looking at. Even though DSLRs are so much more affordable these days, that doesn't mean you shouldn't make sure you're getting one that you can love for years to come. It's really exciting to buy one, and I know you can feel like you just want to run out and get one right away, but if you take your time, and really research what's best for you, then you'll be so much happier in the end! Personally, I'd still love to get a full-frame DSLR someday (I got to shoot with a D800 this summer and was pretty in love! ), but my D5100 has been so great for my needs, and even if I do upgrade oneday I know I'll still hold on to my little guy! PS. This post was in no way sponsored by Nikon or anyone else. These are all simply my honest opinions.